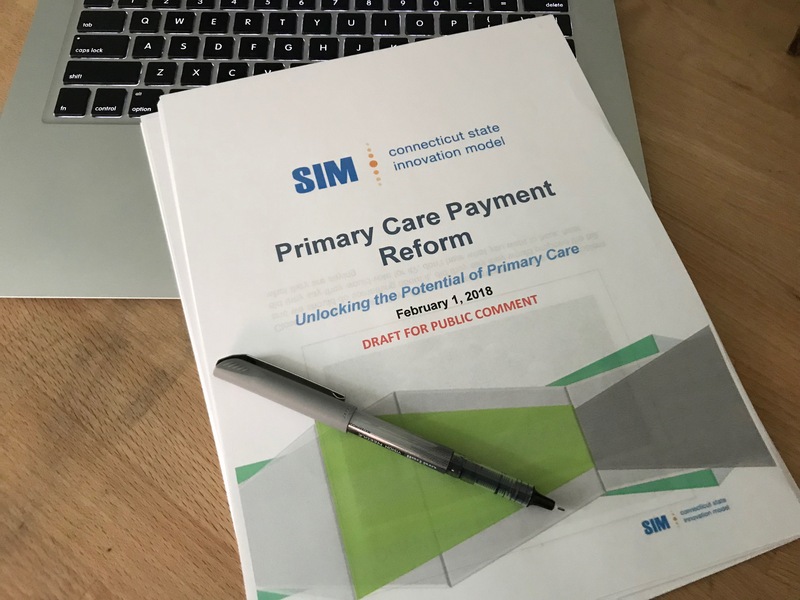 Despite the historic failures of capitation in Connecticut and beyond, our state’s SIM health planning office is continuing the drumbeat to re-impose the risky system across our state, this time for primary care. In Primary Care Payment Reform: Unlocking the Potential of Primary Care, the SIM office is proposing set payments for primary care providers regardless of how much care is provided. On Monday, dozens of independent consumer advocates submitted comments citing errors and inaccurate assumptions in the report and opposing the limited options SIM is recommending. The paper jumps to capitation options without consideration or discussion of evidence-based alternatives such as expanding the current successful Patient-Centered Medical Home program coupled with quality incentives that have lowered costs and improved access to high quality care. Other good options that are working elsewhere include eliminating and reversing payment disparities between primary and specialty care, paying directly for promising innovations such as Community Health Workers and targeted professional care management for high-risk, high-need patients, setting payment levels to promote use of high-value care matched to patients’ needs and health problems, use of sophisticated analytics available even within state government to identify gaps and better target scarce resources, meaningfully engaging the public health sector, medication education and management, and lowering preventable hospitalizations and ER visits. The paper assumes, ignoring the sad history of capitation in Connecticut, that large health systems will choose to invest in these innovations to lower costs, rather than deny needed care and dump less lucrative patients. If the state and other payers supported the evidence-based options with investments, rather than relying on the goodwill of large health systems, they would receive 100% of the badly-needed savings. The comment’s 31 signatories contradicts the paper’s assertion that there is a consensus among consumer advocates supporting SIM’s capitation proposals for primary care. The legislative Co-Chairs of the Medical Assistance Program Oversight Council (MAPOC) also sent a letter to SIM outlining similar concerns.